The Akwa Ibom Government has declared a one-day fast on Sept. 1, as part of activities marking the 30th Anniversary of the creation of the state. 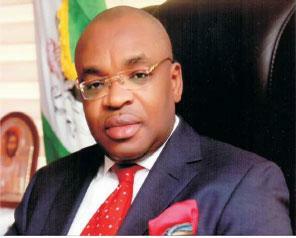 Akwa Ibom was created on Sept. 23, 1987 alongside Katsina State by the erstwhile administration of Gen. Ibrahim Babangida. The state-wide fasting was announced on Friday in Uyo by the Commissioner for Information and Strategy, Mr Charles Udoh. A statement issued by the commissioner explained that as Akwa Ibom would be celebrating its 30 years of creation, it was needful to seek the face of God and pray for His blessings. Udoh said that the fasting would be led by the state governor, Mr Udom Emmanuel, and the theme would be “Shine, for thy light is come’’ drawn from the Bible (Isaiah 60:1). “This year’s anniversary is epochal, considering that the age of 30 is a very significant time in God’s scheme of things. “The heaven was opened for Jesus at the age of 30 during his baptism and there he also received a divine endowment from the Father,” Udoh said. He noted that it was at the age of 30 that heaven was opened to Ezekiel and he was empowered to see great visions for the house of Israel. The commissioner said that David was made King in Israel at 30, while Joseph also became a Prime Minister in Egypt at the age of 30. He noted David’s reign was glorious, spanning 40 years, while Joseph’s position as prime minister saved the people of Israel from famine. “As a people of a great state named after God, Akwa Ibomites, are hereby called upon to fast and pray on that day, beginning from 6:00 a.m.
“The fast will be rounded off at the Government House Banquet Hall grounds from 4:00 p.m.,” Udoh said. Justifying the call for fasting, a lady evangelist in the state, Mrs Glory Akpan, lauded the initiative of the government in seeking God’s face at this period of recession in the country. Akpan said that if Akwa Ibom people will forsake their sins and pray earnestly, God will surely bless the state and the entire nation. The post 30th Anniversary: Akwa Ibom declares fasting appeared first on Vanguard News.